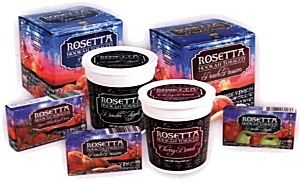 Rosetta Premium Hookah Tobacco is the latest OTP entry from Kretek International. Rosetta, named for the Egyptian Rosetta Stone that unlocked the mystery of ancient Egyptian hieroglyphics, uses aged Spanish and Turkish tobaccos, specially blended with honey, natural fruit flavors, and other essences to produce an especially flavorful and aromatic experience. There are 12 flavors in the line: Double Apple, Raspberry Magic, Summer Watermelon, Blueberry Blast, Mango Madness, Peach Passion, Grape Soda, Super Strawberry Cr�me, Vanilla Spice, Cherry Bomb, Pineapple Surprise, and Melon Mix. �The recent growth of hookah tobacco has been remarkable,� says Kretek President Mark Cassar. �We already see it branching out from its ethnic roots as adult smokers discover the legitimate social aspects of hookah enjoyment.� Kretek believes that the hookah tobacco category - perhaps the oldest form of tobacco smoking, born in India over 1,000 years ago - has matured to the point where it can expand well beyond its current niche. More smokers are experimenting with hookah and discovering the social aspects of hookah sharing. Hookah bars are a current phenomenon, partly in response to increased restrictions on use of traditional tobacco products. Kretek International, Inc., Moorpark, Calif., Toll-free: (800) 358-8100, Web: www.kretek.com. 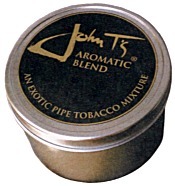 A well-known name in pipe tobacco blend cigars, John T�s has now launched a line of distinctive aromatic pipe tobacco mixtures blended with Cavendish and Burley tobaccos for an extremely mild and smooth smoke. These smoking mixtures for pipes are offered in the same nine blends as John T�s cigars - �Peach Whiskey, Rum and Cola, Strawberry Daiquiri, Chocolate Mint Martini, Cherry Cream, Vanilla (Brown Gold), Cappuccino, Caramel, and Amaretto - and offered in 1.5 oz. or 3 oz. tins. Suggested retail, $5.25 and $9.99, respectively. Stratus Distribution, Phoenix, Ariz., Toll-free: (800) 782-2572, Tel: (602) 997-2572, Fax: (602) 997-1324. Arango Cigar Co. has launched Finsbury, a new popularly-priced pipe tobacco manufactured by Altadis U.S.A., offered in six blends, and packaged in 12-ounce airtight bags. 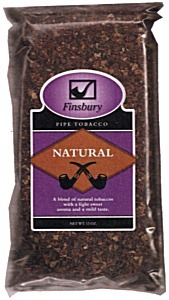 This is the first pipe tobacco to feature the Finsubry name, which has a long history in the briar pipe industry. The natural and aromatic blends include Natural (aged American Burleys, and flue-cured Virginias, blended with a light touch of cognac); Black Cavendish (100% fire-cured tobacco); and Black and Gold (Cavendish, Bright Virginia, and top-grade Burleys). The flavored choices include Vanilla (American AAA Burley, Cavendish, and Virginia); Whiskey (Imported and domestic tobaccos, enhanced with American whiskeys); and the boldest flavor of the line - Cherry (fine Cavendish flavored with cherry). Each bag carries a retail price of $12.95. Arango Cigar Co., Northbrook, Ill., Toll-free: (800) 222-4427, Tel: (847) 480-0055, E-mail: arangocigar@aol.com. Davidoff of Geneva has launched a new mild flake-cut blend pipe tobacco made from Virginia tobaccos harvested from Virginia and North Carolina with Perique tobacco from Louisiana. The striking aroma of Perique, paired with the natural sweetness of the Virginias, gives this blend its characteristic flavor while the core of mild, fermented Black Cavendish rounds it off. To produce the flakes, the Virginia and Perique blend is pressed into thin cakes and matured before being spun tightly around the Black Cavendish core. The resulting cylinder is then matured for additional time before being sliced into medallions and packaged in tins. Suggested retail price for the 50gm tins is $12.50, shipped in five-count cartons. 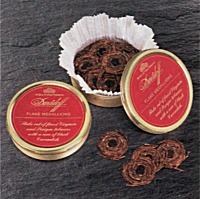 Davidoff of Geneva, Inc., Stamford, Conn., Toll-free: (800) 232-8436, Tel: (203) 323-5811, Web: www.davidoff.com. Yenidje Supreme and Yenidje Highlander both tap the very finest Xanthi leaf from the Yenidje (Genesaia) area of Western Thrace. The legendary Yenidje leaf is full-bodied and the best leaves are full of oils, yellow-to-brown in color with a pleasant, delicate aroma and sweet, mild fresh flavor. Supreme incorporates Latakia leaf; Highlander doesn�t. Yenice Agonya blend is designed to highlight a Kabakulak variety of Xanthi-origin Agonya seed tobacco - wide, fine-textured, and oval leaves with bare stems. Classic Samsun features the finest Samsun Maden-Canek leaves grown in the Black Sea region of Eastern Turkey: small, thin, and elastic leaves with a mellow, pleasant and distinctive aroma and a nutty, sweet taste. Black Sea Sokhoum is grown on the mountain slopes in Georgia, a strain of Samsun seed with similar aroma but with a distinctive rich, deep, and mellow - almost cigar-like - flavor. Katerini Classic showcases the light gold-colored, delicate, elastic, and robust Katerini leaf grown on the mountain slopes of mainland Greece. It has a more subtle aroma than Samsun, but exhibiting an especially sweet, mild curry-like flavor. McClelland Tobacco Co., Kansas City, Mo., Toll-free: (888) 213-8207, Tel: (816) 474-6994. Savinelli has launched a new Leonardo DaVinci pipe series celebrating the brilliant Renaissance man. 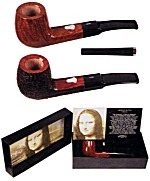 The first release in the series is the Mona Lisa pipe featuring an etched Sterling Silver image of the young lady made famous in DaVinci�s painting on the pipe�s shank as well as etched on an accompanying acrylic pipe tool. Only 50 smooth pipes and 100 rusticated models are being released worldwide, each one serially numbered. The pipes are balsa convertible and are shipped in a custom presentation box. Tel: (919) 481-0511, Fax: (919) 481-1948, Email: Savinelli@mindspring.com, Web: www.savinelliusa.com.